Pat and Neil go acoustc. Pat and Neil on stage again ! The second coming of Jesus. Pat back in Europe on stage!! The new site patbenatar.eu !! Have room for another concert on your calendar? You might want to make room, as a powerful female driven rock tour is headed out on the road this summer. 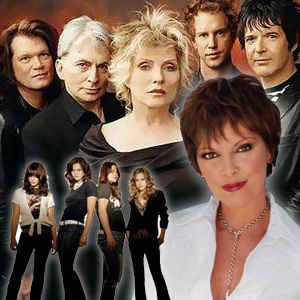 Blondie and Pat Benatar have announced a concert collaboration that will hit arenas and amphitheaters in July and August. The full extent of tour is not yet known, but so far the two are booked at 12 venues in the United States from July 21 to August 22 with all-female rock group The Donnas providing opening entertainment during select shows. Blondie broke up in 1982, but roared back onto the music scene in 1998 with just as much vigor as before. 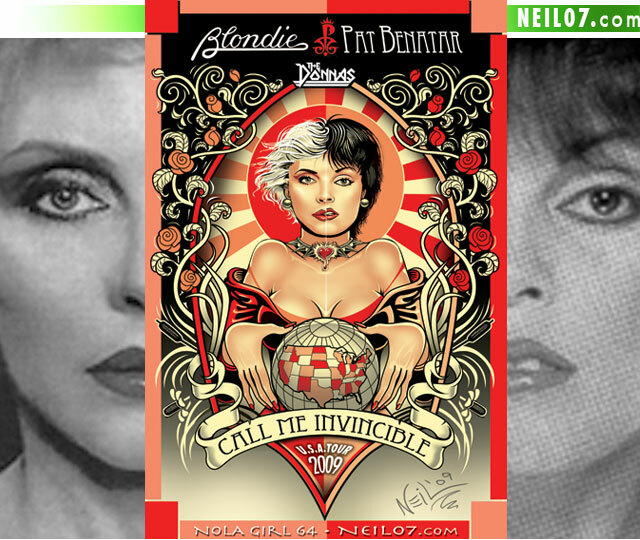 Like Pat Benatar, Blondie’s Deborah Harry has forged her own solo career by releasing five records during her career. The pairing of these two rock divas was inevitable.